DJ and producer Generik has earned quite a reputation among the electronic community as being way more than that — generic. Born Tyson O’Brien, Generik has been stirring things up within the dance music scene for nearly a decade. 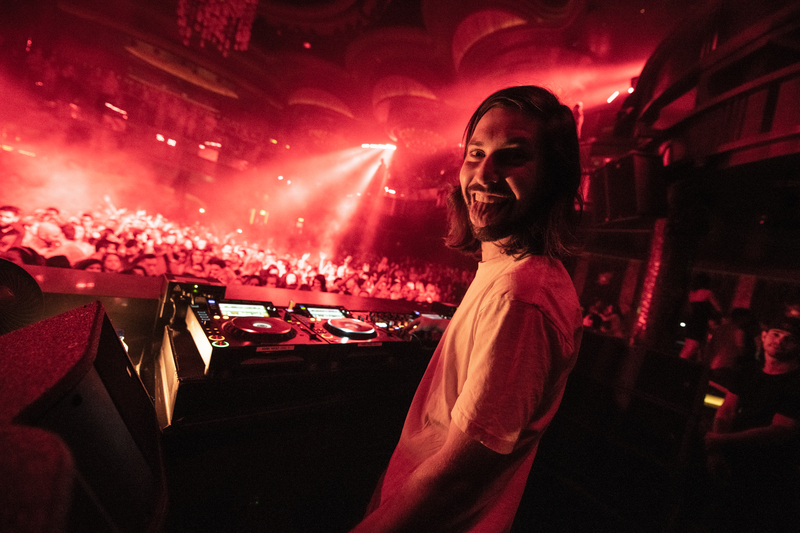 Collaborating with and performing with some of the biggest names in music , the Las Vegas resident at Hakkasan Group (Hakkasan, OMNIA, Wet Republic, JEWEL), is also notably known for his support sets for Calvin Harris, an undeniable force within nightlife. Just as Generik released his latest original single, “Tony,” The Nocturnal Times sat down with the musician to discuss his most recent happenings, early dance music exploration, performing alongside Calvin Harris, his Las Vegas residency, and what’s to come from the DJ/producer extraordinaire. The Nocturnal Times: How and when did you first begin exploring dance music? Why the name Generik and what does it mean to you? Generik: I started about 10 years ago. I was always into bands and I just happen to see 2manydjs playing rock & techno together and it blew my mind! From that moment on, I was hooked. My mum actually came up with my name, I needed a name for a flyer for my first gig and I asked her what it should be. “Make sure it’s nothing too generic” so I switched the c to a k and then the rest is history! The Nocturnal Times: You’re a staple within the Las Vegas nightlife community. As a veteran Hakkasan Group resident, what are some of the best parts about your OMNIA Las Vegas and WET REPUBLIC Ultra Pool residencies? Generik: I love that every single week it’s a completely different crowd, a new challenge and it makes playing very exciting! Also playing at the most incredible nightclub in the world, OMNIA, it’s not really hard to see why I love Vegas so much. The Nocturnal Times: What are a few of your fondest memories and/or wildest experiences that you can recall from one of your Las Vegas shows? Generik: A lot of sleepless nights, a few waking up on the bathroom floor and then meeting Gordon Ramsay who is an absolute legend! The Nocturnal Times: Generik is a go-to support act and opening talent for one of the biggest names in music, Calvin Harris. Is there anything you can share about Calvin that fans may not already know? Generik: I’m sure they know everything, so I’ll just confirm that he’s a genius and a bloody good bloke! The Nocturnal Times: Can you tell us a bit about your latest single and original music to come from Generik? Generik: The new tune is called “Tony” it’s a bit clubbier and has a late night feel to it. Hopefully it makes you dance at 3 a.m. I’ve got plenty of new music to come, a vocal piano house number and then my favorite song I’ve written “Shorts Day” due for summer! The Nocturnal Times: What are some of your immediate goals and plans for the near future? Is there anything you’d to share with your fans that they can look forward to? Generik: I’ve always wanted to have a record label and I’ve just started one called “You Do You” so the plans and goals is to get that up and running and firing, putting out quality dance music! I’m going to do a mix series for ‘You Do You,’ which will come out monthly-ish and feature exclusive music from myself and other mates! So stay TUNED! The Nocturnal Times: Where do you see yourself five years from now? Find more information or purchase tickets to one of Generik’s upcoming shows in Las Vegas, here.